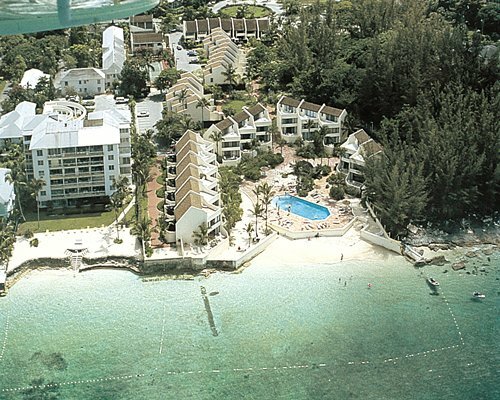 Blue Water Resort is an oceanfront property located directly on the Cable Beach; it's a relaxed, family-style vacation resort that will want you coming back soon. Everything you need is right here. Featuring full dining rooms, private decks, tropical furniture and televisions throughout, these are some of the many luxuries you just won't find in the average hotel room. Participate in the daily activities, play a game of tennis, or enjoy a tropical beverage from Da Sand Bar & Grill, this is no ordinary stay. With a beautiful pool and private beach, this is your paradise away from home. Nearby and within short walking distance is great shopping, restaurants, and one of the island's only two casinos. Next to the resort is the Cable Beach Golf Club. Also the beach offers some of the Bahamas best swimming, snorkeling, sailing, fishing all in the crystal blue waters of Nassau's Cable Beach, Bahamas. The Ocean Villas are three-bedroom units range from 1,440 to 1,750 square feet, with a full kitchen, dining area, and spacious living room that opens up to your own private patio; the Garden Villas offer much of the same. Had too much sun? Cool off in the comfort of your own living room. Share some cable TV. Relax. Take every day at your own pace – it's the Bahamas. 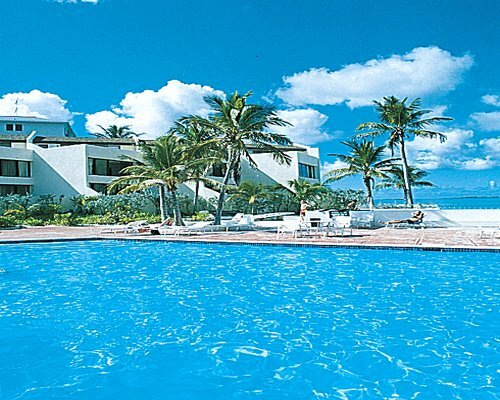 The world-famous Cable Beach is right outside your door at Guanahani Village. Nearby and within short walking distance is great shopping, restaurants, and one of the island's only two casinos. Next to the resort is the Cable Beach Golf Club. Also the beach offers some of the Bahamas best swimming, snorkeling, sailing, fishing all in the crystal blue waters of Nassau's Cable Beach, Bahamas. The nearest commercial airport is Nassau Airport, about 5 1/2 miles away. From the airport, take JFK Drive to the West Bay Street, and proceed to Cable Beach. The resort is about 1/4 mile past the City Market Grocery Stand. Check-in is at 4PM unless confirmed otherwise in the reception area. If you anticipate a late arrival it is IMPERATIVE that you notify the resort in advance so arrangements can be made. Please Note: In the Bahamas driving is on the left side of the road. Mandatory Occupancy tax is 12.00 U.S. dollars. Cash or Credit is accepted. "Housekeeping fee for all RCI points reservations: There may be a fee of 198.00 U.S. dollars for all units, per stay. Cash or Credit is accepted." "Housekeeping fee for all RCI reservations: There may be a fee of 188.00 U.S. dollars for all units, per stay. Cash or Credit is accepted."